When I was a teenager one of friend questioned: Why in general Lord Brahma is not worshiped? And He was correct as Lord Ganesha/Lord Shiva/Goddess Durga And many are worshiped but never saw Lord Brahma idol within the temples/Home. Then I was told by the same friend – within Pushkar, Rajasthan there is one temple dedicated to Lord Brahma And the story why Lord is not worshiped. The story I do no remember but the question was within And to know the answer – The curiosity. Though I never visited Pushkar years passed I visited Goa And Lord Brahma temple located at Sattari taluka, Goa. 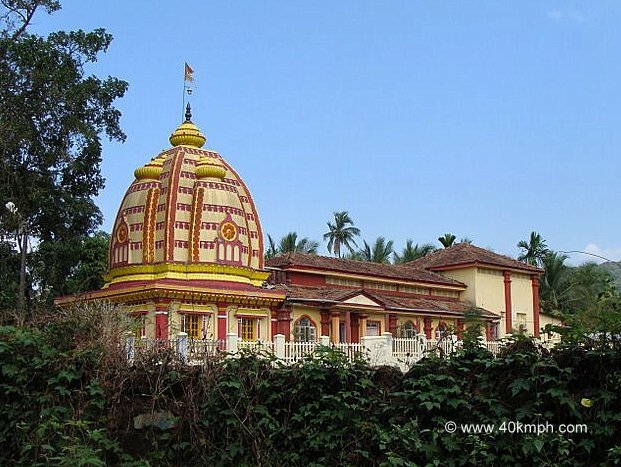 Visiting Shree Brahmadev Devasthan, Brahma-Karmali village, Sattari taluka in North Goa district was sure but as it was far the decision to drive was pending. One day early morning I decided to visit And on the way. 12th century AD Kadamba period idol. Earlier the idol was at Karmali village or Carambolim village. During 16th century AD when Portuguese ruled Karmali/Carambolim the idol was brought to Sattari taluka And when Sattari was under Portuguese rule in the year 1781, the idol was finally installed at a small village later named as Brahma-Karmali village. The question was repeated And a request with the temple priest to guide. The reply was done And after years finally the answer. But the wish is to question You – The readers the same question to know your answer/s if you wish to share through comments, Please. Be sure will reply the answer but the day I visit Pushkar, Rajasthan.